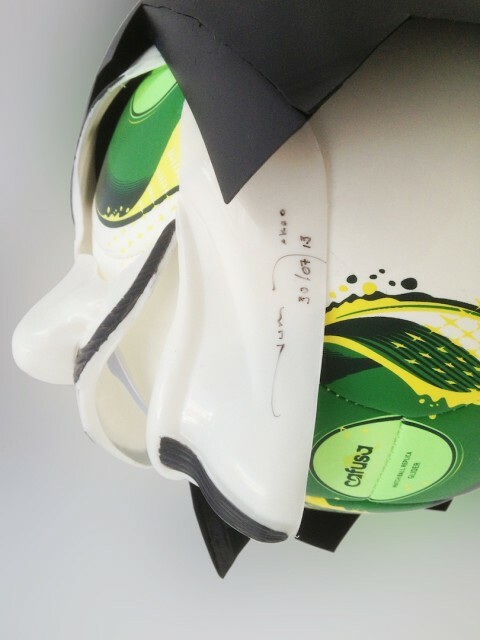 Official World Cup football with a V-mask, the symbol adopted by protestors during the anti-World Cup demonstrations. 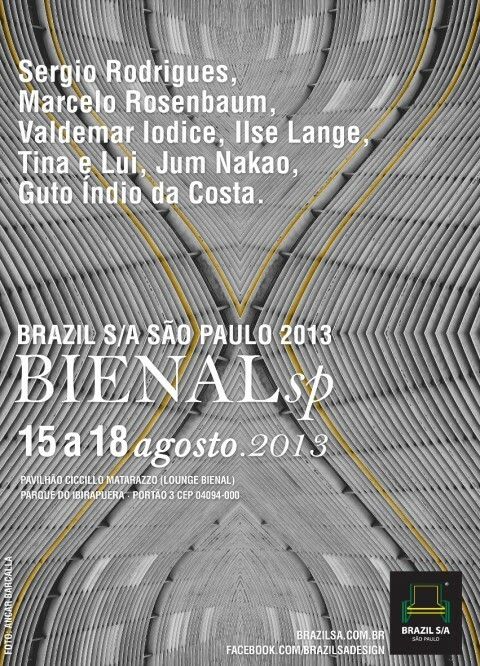 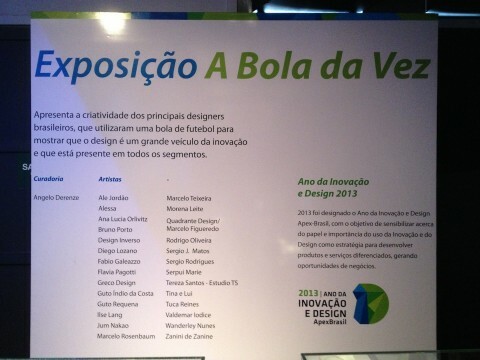 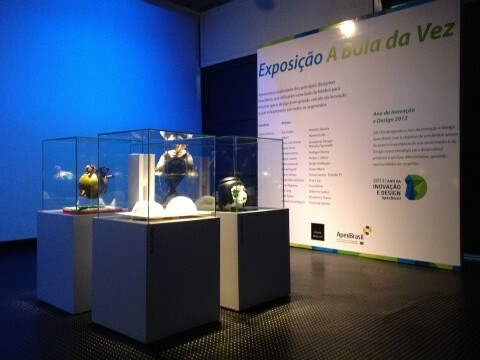 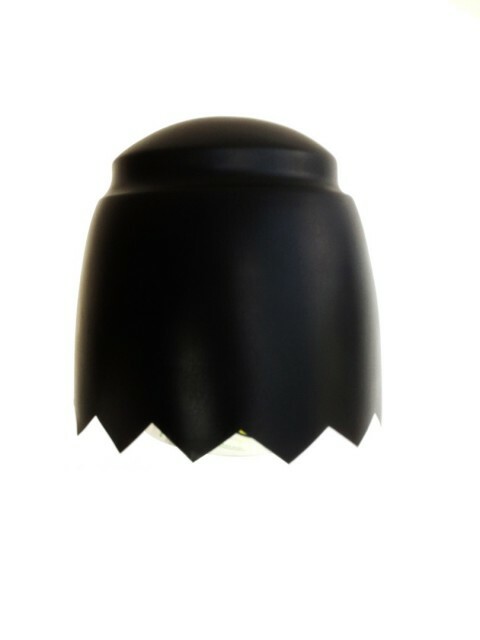 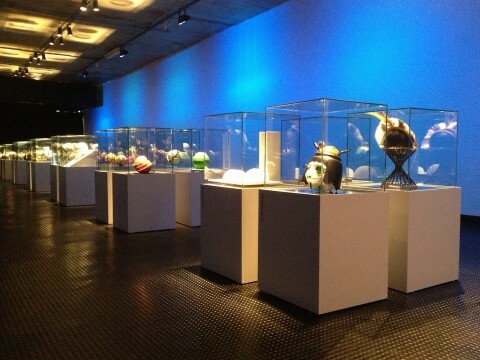 Invited by APEX and BRAZIL S/A, we developed the V Ball assemblage for the exhibition Bola da Vez. 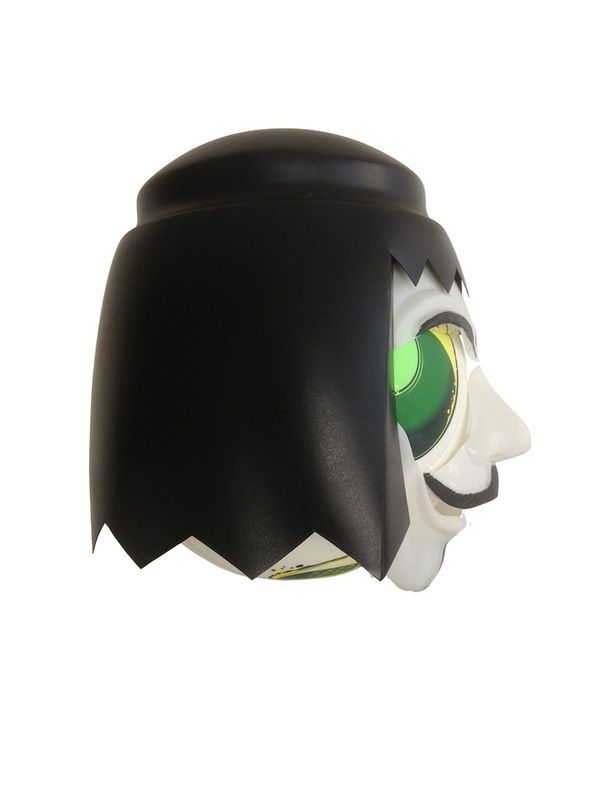 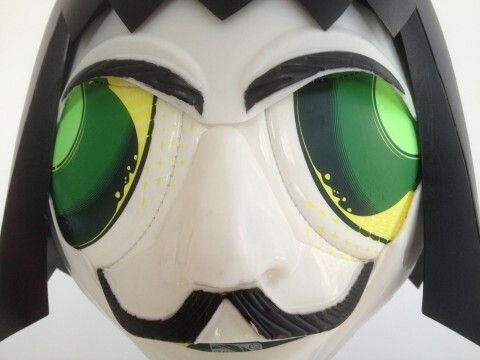 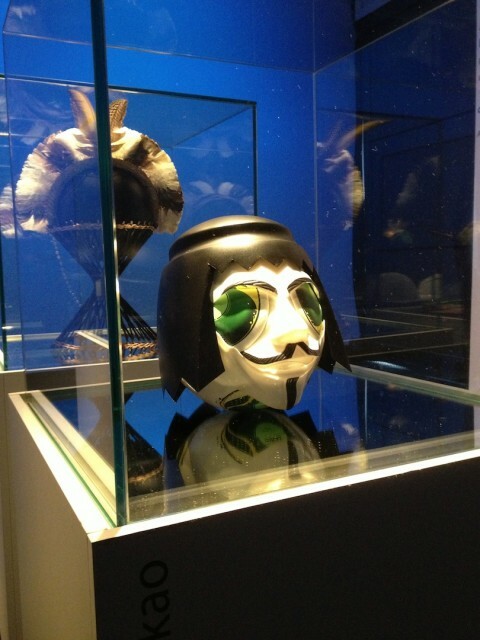 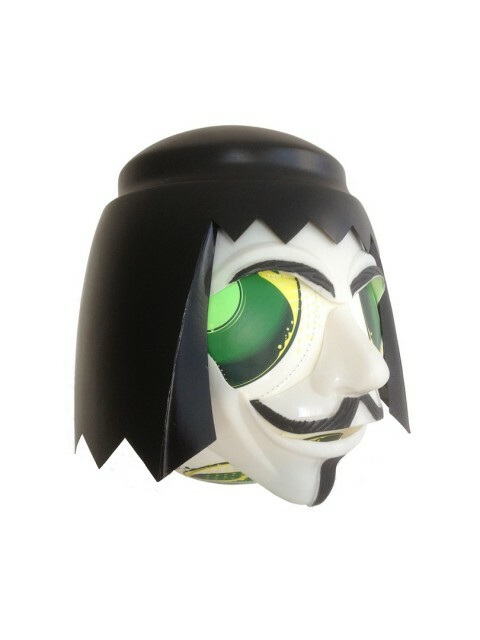 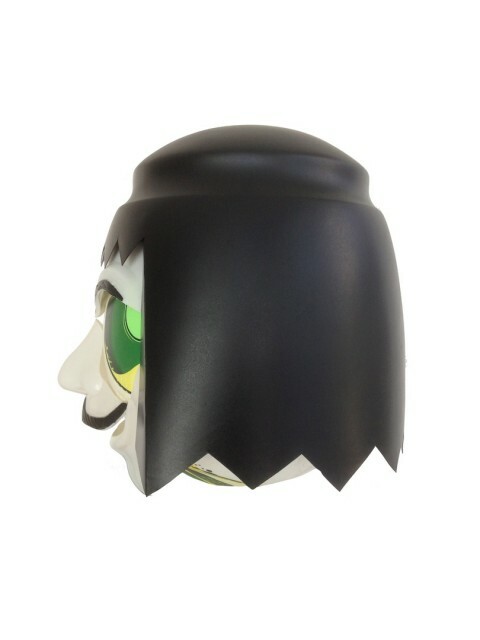 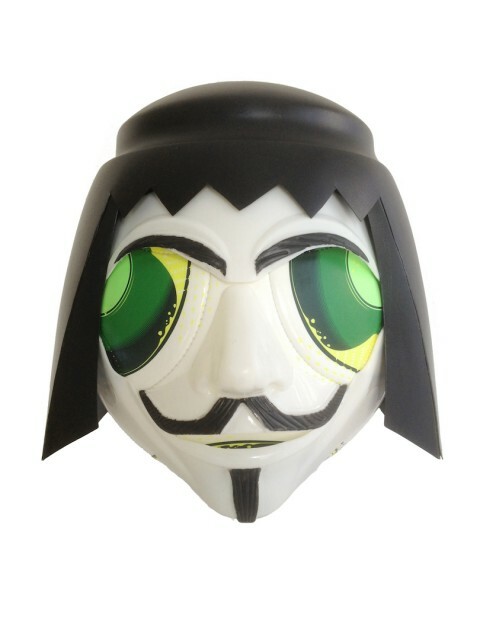 V Ball captures the pre-World Cup atmosphere in Brazil, a time of widespread street demonstrations at which the mask from the movie V for Vendetta became the symbol of choice.